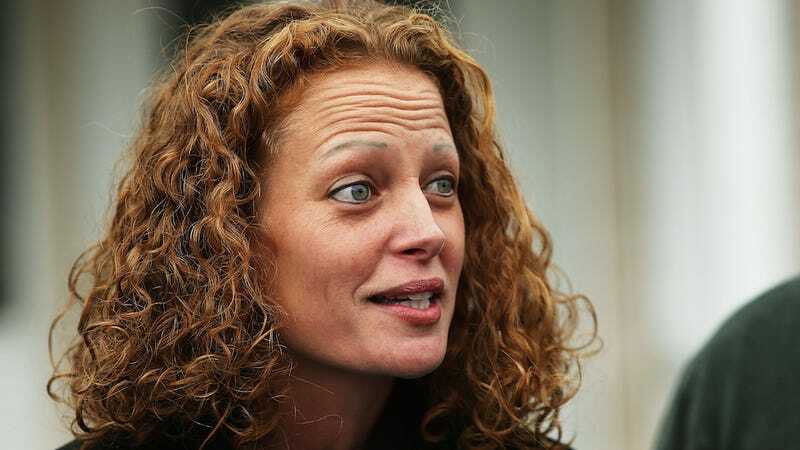 Kaci Hickox, the moxie-laden nurse who took the state of Maine to court over her mandatory (though unnecessary) quarantine—and won—has reached a settlement with the state. And honestly, it sounds a lot like what she's suggested all along. Hickox will be allowed to travel freely so long as she keeps a close eye on her health and reports any symptoms. After all that, they're just going to follow the standard self monitoring protocol Hickox described last week. The settlement will be in effect until November 10, the end of the quarantine period laid out for her. After going on a lovely bike ride last week just to prove a point, on Sunday, Hickox appeared on Meet the Press, to apologize to her town of Fort Kent for subjecting them to a media shitstorm, promising to stay away from public places. That's nice of her.